Last year, the Arthritis Foundation revealed that gout sufferers face a 25% higher mortality rate than their gout-free counterparts. They indicate the undertreatment of the condition as a major contributor. In this battle, your life is on the line, which means that you need to get serious about treating your condition. Fortunately, celery seed for gout will be a soldier at your side! 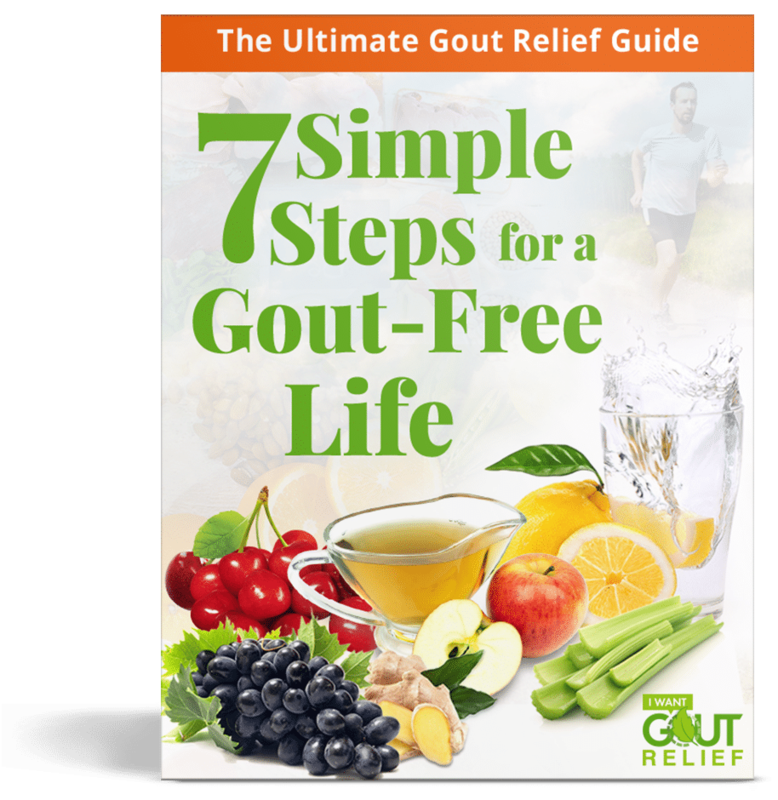 This article answers the important questions about celery seed and gout. First, we need to understand gout in order to understand why this seed can help. 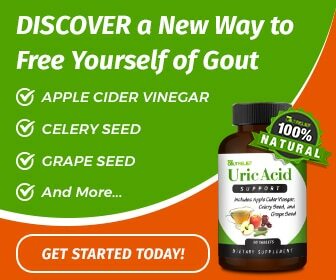 As you may know (especially if you suffer from gout), gout is an extremely painful form of arthritis that causes uric acid to crystallize and deposit in the joints. It usually affects one joint at a time (but can affect several simultaneously) and often affects the big toe. 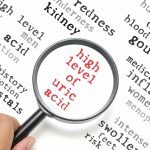 Though no symptoms are present, the blood contains high levels of uric acid and crystals begin forming. The attack starts, with symptoms increasing over 8-10 hours, and persisting for 2-3 days. The Arthritis Foundation says that 84% of people will suffer another within the next three years. The gout insidiously causes damage between attacks, due to low levels of inflammation. This is an especially important time to reap the celery seed benefits (which we’ll discuss below), even though you may not feel like you’re suffering. When uric acid levels remain high due to lack of treatment, people suffer from long-term attacks and joint damage. Knowing if you’re at risk for the disease will help you take preventative measures before it affects you, like taking a celery seed supplement. Though everybody can benefit from taking celery seed extract, it’s especially useful for those at risk for gout. 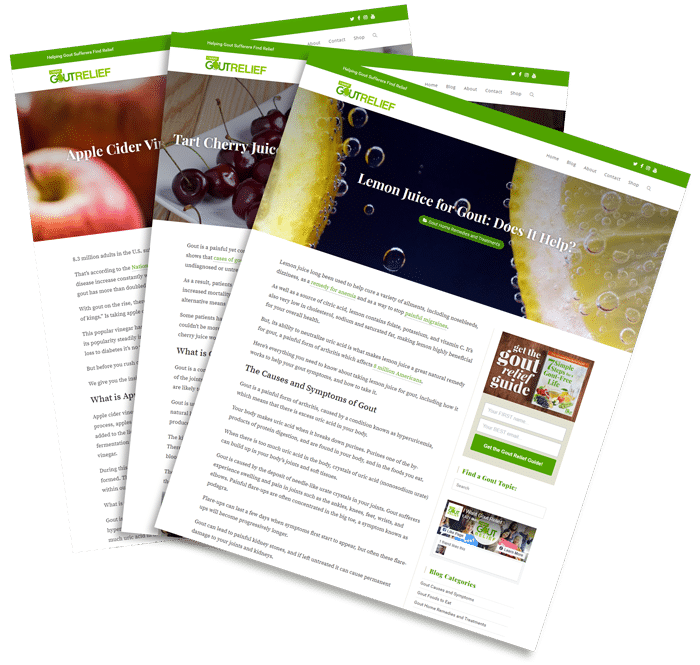 If you or your loved one are suffering from gout, here’s everything you need to know about taking celery seed extract for gout. 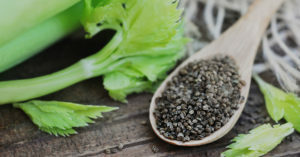 What Is Celery Seed Extract? Though present in the entire celery plant, the celery seed itself contains the highest concentrations of the biologically important compounds. Celery seed extract is a concentrated form of all the goodness contained in the seeds from the celery plant and you can shop for it in supplement form (our Uric Acid Support supplement has celery seed extract). Celery seed comes from the apium graveolens plant that grows in marshlands. The flowers produce tiny brown seeds, the fruit of the plant. Aggie Horticulture gives an in-depth history of the seed and states that the ancient Chinese recorded using it medicinally, and in the 9th century, European poetry mentions the medicinal use of celery in Italy and France. Later, around the 16th century, the plant became domesticated and was used in food. As history shows, the seeds offer flavor for culinary use, but more importantly, medicinal properties for treating disease. The fact that the ancients used celery seeds medicinally in very different parts of the world speaks volumes about its legitimacy. Studies show the benefits of supplements containing celery seed extract for gout. They work because of the seeds’ biologically important constituents. The celery seed contains high levels of the biologically important flavonoids luteolin, apigenin, and chrysoeriol. 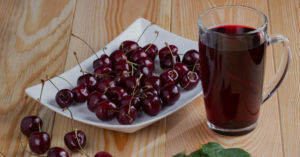 Research suggests that this flavonoid binds to the same receptors as Xanthine oxidase, which serves as a catalyst for producing uric acid. When luteolin binds to those receptors, it inhibits the crystal forming uric acid production, thus reducing inflammation and joint damage. This flavenoid possesses anti-inflammatory properties, as revealed in a study that it inhibits Cox-2, an enzyme that triggers prostaglandins, leading to inflammation. This makes apigenin ideal for relieving pain during an attack and reducing damage to the joints over the long term. This compound also combats inflammation, but more research is needed to find out how and why. The celery seed also contains essential oils 3-n-butylphthalide (3nB) and medically important compounds. One study reported administering an extract containing 85% 3-n-butylphthalide (3nB) to people suffering from one of several conditions, including gout. Data revealed that the average patient-reported pain scores at 68%, but some felt full pain relief. Upon further investigation, they learned that taking the supplement for at least 6 weeks achieved ultimate results and taking higher levels of the extract yielded better pain scores. This celery constituent reduces inflammation, possibly dissolves uric acid crystals, and shows the potential for treating a host of conditions including stroke, osteoporosis, and gout. Research states that celery seed oil provides an abundance of Sedanolide, a natural phthalide that scents celery and aids in treatment of gout and other rheumatoid conditions by reducing inflammation. Studies have shown that Coumarin – a benzopyrone that creates the clear crystals in plants like celery – thins the blood and provides the strongest inhibition of xanthine oxidase, making this a super star for battling gout. Celery seeds contain the essential fatty acids omega-6 and omega-3. 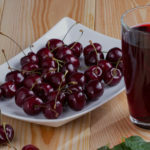 Both provide a host of health benefits and are important to gout treatment. Also known as alpha linolenic acid, this polyunsaturated fat, found in celery seed, shows promise for improving heart health and asthma, lowering cholesterol, and lowering blood pressure. 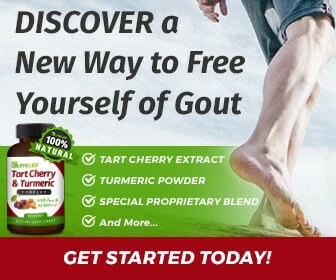 Though it does not directly treat gout, it’s a bonus in your celery supplement that does! Also called linoleic acid, this fat offers tremendous health benefits and promise in treating inflammatory conditions. One clinical study of 112 men showed lower Omega-3 blood levels in patients who reported suffering more than two gout attacks in a year. Celery Seed for Gout or Other Medications? The facts clearly show promising celery seed benefits. However, no medication, natural or manufactured, comes without side effects. Let’s compare celery seed for gout to other commonly used medications. Healthy individuals face rather minor side effects considering the benefit, but people with any of the mentioned conditions should talk to their doctor about the safest method for treating their gout. I could go on, but the point is clear. Celery seed extract for gout provides anti-inflammatory properties with less side effects. Additionally, Celery seed also reduces uric acid production while NSAIDs don’t. Meaning, if you choose the NSAID, you may also need to take another medication for that. 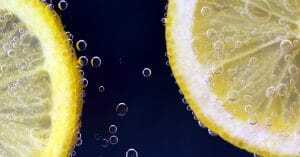 How Else Can I Prevent or Treat Gout? For best results, while using celery seed to prevent or treat gout, you should also take other measures to reduce the risk of joint damage and premature death from the disease. The CDC claims that obesity is a major risk factor for getting gout and suffering attacks. Experts recommend exercising 30 minutes a day 5 days a week to maintain a healthy weight. Taking your celery seed extract will reduce your inflammation which will help you exercise but, if your joint pain makes strenuous exercise difficult, try walking and participating in a yoga class. Eating a healthy diet will not only reduce your risk for gout by keeping you at a healthy body weight, but it also helps to reduce your gout attacks. 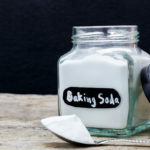 Avoiding these foods and taking choice supplements will help keep gout out. Taking celery seed for gout will also aid in maintaining proper nutrition! 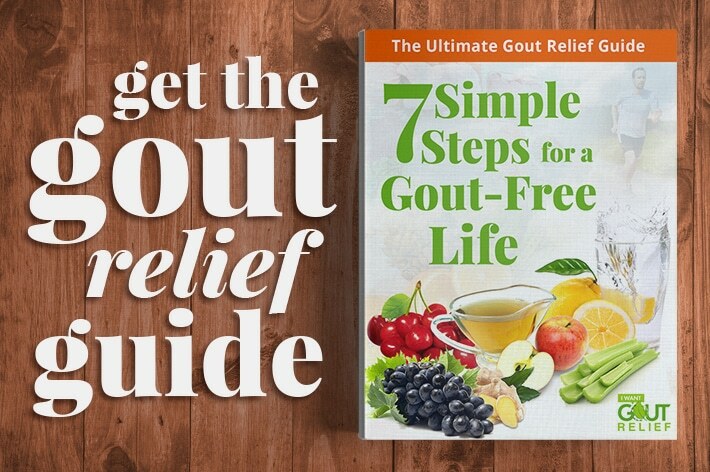 We have a lot more advice in our 7 Simple Steps for a Gout-Free Life guide. Click on that link to get your copy. Taking celery seed for gout will improve your life and possibly even lengthen it! Keep up-to-date with our blog and feel free to contact us any time.